So with BBQ season in full swing some might wonder if they are missing something in their knife collection that will help them transition from Weekend Griller, to Super Pit Master. Well let’s start at the top. If you are very serious and want to do the project from start to finish. As in buying 1/2 a cow or a whole pig. 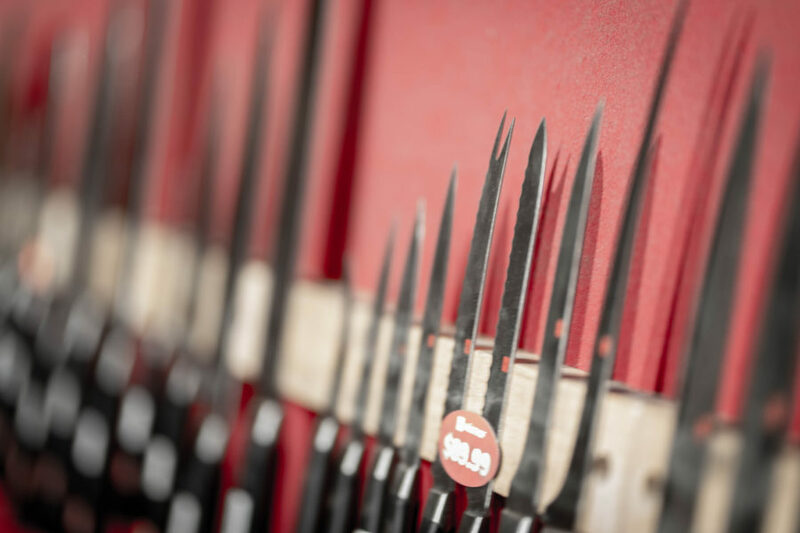 You might need the following “special” knife blades or cutting instruments. Boning Knife: a knife used for removing bones from meat fish and poultry. I would classify Boning knives for specific purposes by length and flexibility. Smaller boning would start off at 5″ and larger at 6.5″. Anything over 7″ I would tend to put into the fillet knife category. 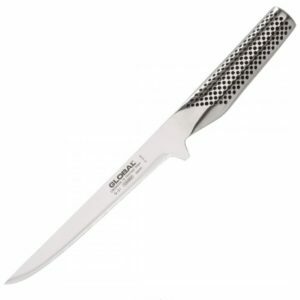 Stiffer blades are most often used for beef and pork while flexible used for fish and poultry. Meat Cleaver: the Axe of the Kitchen. This blade is design to be slammed around, smacked into dense meat cartilage, and bone. For Butchering make sure you avoid thin Chinese Cleavers that are made just for dicing. The blade should have substantial weight to it 1.5lbs and up is what I recommend. Now if you want to save some scratch do it with a Meat Cleaver. You honestly can use an axe for the job. You don’t need a $300.00 piece of Solingen Steel or VG-10 Jade embossed 65rockwell super steel knife. You are going to slam, beat and whack into your cutting board. Slicer: separate for yourself from the hacks. Ok you have smoked the brisket for 24 long hard hours. Checked the temp religiously, stared blankly at the outside of the pit just sweating and salivating. Now the brisket sits on your Walnut hand made cutting board and the moment of truth is upon us. This is the most important slice you will ever make. Rick Bayless is for some reason peeking in the window to see what knife you will choose. 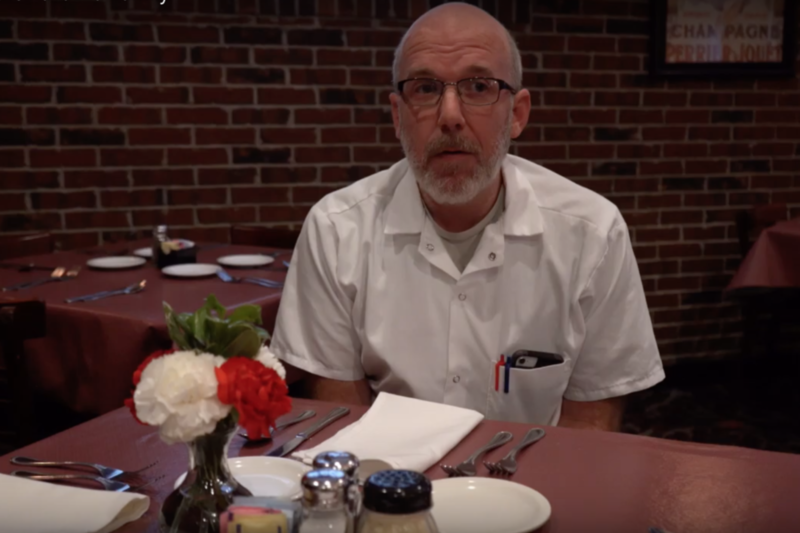 You don’t want to saw the meat with you 6″ serrated steak knife that you usually use this time it’s going to be different. Oh what’s this a new knife is there a long thin knife. Not deep like your chef knife but shallow and with weird oval things on the blade. 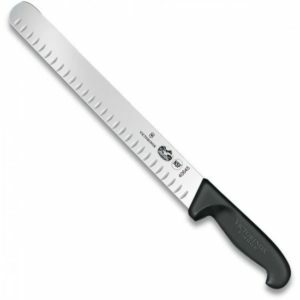 OK this is a Slicer, I like using at least a 9″ blade. 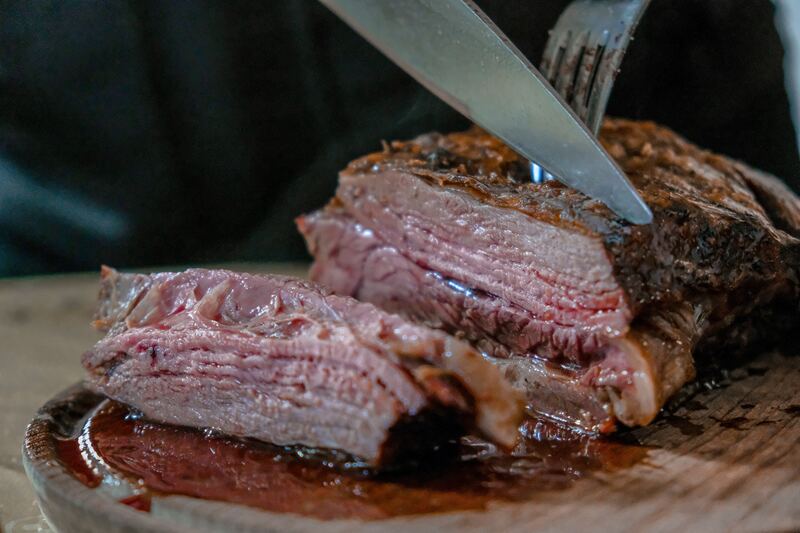 You want to make one cut not a push pull push pull where you tear the hell out of you succulent Brisket. 10″ , 12″ are the most popular but if you aren’t intimidated go with a 14″. The oval marking on the side are what’s called a “Gratton Edge”. This edge was first used for Prime Rib. The fats and the juices fill in the slots helping the meat fall away from the blade, reducing tearing. Some have points some are rounded. The rounded are preferred in the Commercial Industry. If you are working the Carving Station its nice not to be moving the point at a 6 year old girl neck area. So rounded tips make everyone sleep a little easier but don’t effect performance.